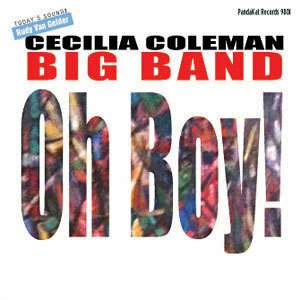 Cecilia Coleman Big Band: Oh Boy! A transplant from Southern California, pianist-composer-arranger Cecilia Coleman has recently been immersed in the New York scene, where she performs regularly with her big band, featuring such talented sidemen as alto saxophonist Bobby Porcelli, soprano saxophonist Peter Brainin, tenor saxophonists Geoff Vidal and Stan Killian, trombonists Sam Burtis and Mike Fahn and baritone sax ace Frank Basile. Together they swing out in straight-ahead fashion on “Liar Liar.” The waltz-time “Pearl” is a lush offering with sophisticated harmonic content and an outstanding solo by Porcelli, while the loping “Magpie” features some slick Four Brothers-style unison writing for the sax section. “Walk Away” is a stately requiem, and the imposing suite “Lonesome Journey” provides some sparks along the way. 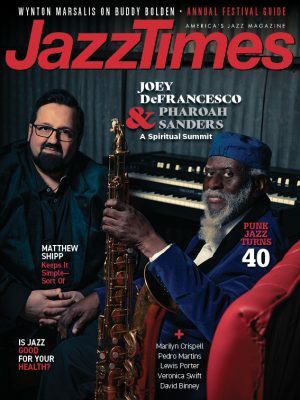 Coleman’s playfully swinging “Oh Boy!” is chock-full of potent solos, as is the burner “#1,” a launching pad for flights by trumpeter John Eckert, trombonist Fahn and saxophonist Vidal. A startlingly good debut by this new face on the big-band landscape.